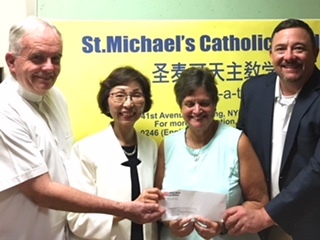 Many thanks to our Sponsor Cathay Bank for their generous donation to St. Michael’s Catholic Academy in support of the TWIN-CS Dual Immersion Program. Celebrating our 3rd year of support from Cathay Bank for our Dual Language Immersion Program. The team at Cathay Bank is a valuable partner supporting the development of our team here at S. Michael’s. Teaching our children in English and Mandarin gives students the opportunity to spread their wings! 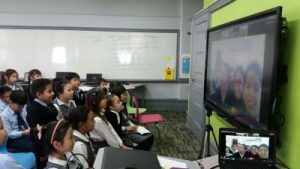 Students at Most Holy Redeemer Catholic Academy recently video chatted with their penpals at St. Leo the Great Catholic School in San Antonio, TX through the use of the Zoom video conferencing service.